FarmTek is committed to embracing and leveraging diverse backgrounds. FarmTek is an equal opportunity employer. A typical day as a National Account Manager involves approximately 40 inbound phone contacts with both prospective and existing customers. The objective during these calls is to provide the customer with a complete solution to his or her needs, by actively listening and asking questions appropriate to the situation, ensuring that his or her true requirements are met. The dynamic individual we seek will accomplish this through returning customer calls in a timely fashion, being a well-organized self starter and having the determination for growth and success within our fast-paced organization. Our multiple catalog companies serve the agricultural, horticultural, equine and building communities, both nationally and worldwide. Applicants must have the ability to develop business through a combination of methods that include: research; lead generation; networking with new and existing customers; building long-term customer satisfaction, retention and relationships. 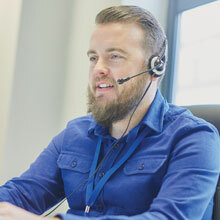 Active listening skills, a desire to help customers solve problems and an inquisitive nature will ensure a candidate's success in this position. Intelligence, enthusiasm and a proven record of prior success in sales are required, as well as superior customer service skills and the ability to comfortably work with clients over the telephone. We offer base pay and commissions; total compensation can range from $60,000 to more than $100,000. In addition, we offer a competitive benefits package including medical, dental, 401(k), profit sharing and product discounts. If you are interested in learning more about our National Account Manager position, please read "A Day in the Life of a National Account Manager."